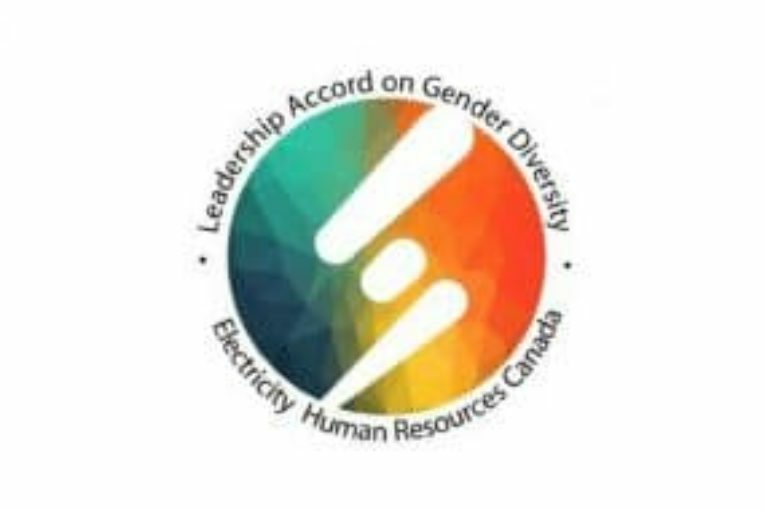 Here at the Canadian Wind Energy Association (CanWEA), we recently became an Advocate for The Leadership Accord on Gender Diversity in the Canadian electricity industry, an initiative of Electricity Human Resources Canada. As an industry association, this signals our commitment to speak about the role of women in the electricity sector. We are also encouraging our member companies to champion gender diversity by signing on to the Accord. This is a worthwhile initiative for Canada’s electricity sector and for the wind energy industry. More than 100,000 Canadians work in the electricity sector, which underpins our economy. Our industry is in the midst of great change, as we replace aging infrastructure and increasingly move to clean electricity generation options – such as wind power – that will help de-carbonize and further electrify our economy. Women now represent only about a quarter of the electricity sector workforce, and – brace for it – only about five per cent of trades employees! We will increasingly need a workforce with specialized skills to plan, operate and maintain an increasingly sophisticated power grid. That means we must attract women to critical occupations such as engineers, engineering technicians, technologists and skilled trades. Electricity companies that sign on to the Diversity Accord are committed to improving opportunities for women in the electricity industry, in areas such as recruitment, retention, career progression and training and development. They support communicating with women about the opportunities available in the sector, with a view to expanding the breadth and depth of the skilled workforce – particularly in the skilled trades and non-traditional positions within technical fields. As electricity companies increase the numbers of women they employ, they provide equal opportunities that help them develop to their full potential. There are two major benefits for the wind energy industry in supporting the Diversity Accord. The first is that our support clearly demonstrates our commitment to building a workforce that mirrors Canada’s diversity, and that recognizes and validates the personal skills of individuals, regardless of gender. The second benefit of supporting the Accord is that diversity and innovation often go hand in hand. The wind energy industry is at the forefront of Canada’s effort to modernize how we generate electricity. Wind energy will be a big part of the electricity sector’s move to clean, affordable and dependable power, helping ensure our nation achieves its climate change goals while also supporting the growth of our economy. By creating a culture of equality and fairness, the wind energy industry hopes to attract a more diverse pool of top talent. Encouraging more women to join and lead our industry will promote diverse thinking, innovation, stronger safety cultures, and better overall performance – inevitably strengthening the bottom lines of our member companies. I’m really excited to see that several electricity sector companies, associations and labour groups have already signed up in support of the Accord as advocates or signatories, such as the Canadian Energy Efficiency Alliance, the Energy Council of Canada, the Ontario’s Electricity Distributors Association, Ontario Power Generation, Hydro One, Alectra Utilities, the Power Workers’ Union, and IBEW Canada. By talking about it, we hope to inspire the wind energy industry to give it some thought. A number of women in the renewable energy industry will be discussing the Diversity Accord at an October 2 Women in Renewable Energy (WiRE) event in Montreal (the night before CanWEA’s annual conference kicks off in the city). Looking forward to meeting some of you there.